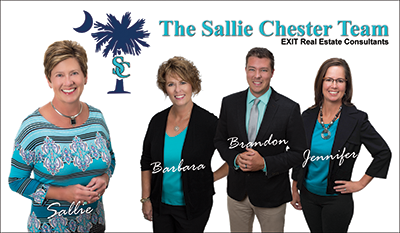 If you live in Lexington, SC, Lake Murray, SC or the surrounding area, and have questions about the home buying process, we can help. The housing market changes constantly and so does the buying process. Although our home buyer event is over, we are happy to answer your questions and help you through the process. Do you know what is required to purchase a home? Watch four short videos below and compare your answers. ANSWER: Mortgage Interest Rates change Daily. Current Rate is @ 4-5 percent depending on the loan product, your credit rating and financial situation. ANSWER:Credit score ratings range from 650-780. The higher the better. Often, a consumer will need to repair their credit before purchasing a home. ANSWER: A seller typically pays the buyers' agent's commission. ANSWER: A real estate closing is the final step in buying a home. The buyer(s), seller(s) real estate agents and closing attorney meet at set time to sign final documents. Lexington is one of the fastest growing areas in the state, leading the way in healthcare, education and recreation, including popular Lake Murray. It's a short drive to Columbia, the state’s capital city and home to the University of South Carolina. Live entertainment and educational opportunities are also plentiful at the Koger Center, the Colonial Life Arena, Riverbanks Zoo and Gardens, the State Museum and EdVenture Children’s Museum. Centrally located in the Midlands, one can easily reach the beach or the mountains in less than three hours.